Friday on Good Morning Texas I showcased a fun spring inspired little girl’s room & adjoining play area. The bright fun color palette was inspired by spring and has the type of design longevity to carry your little sweetie from toddler to early teen years. 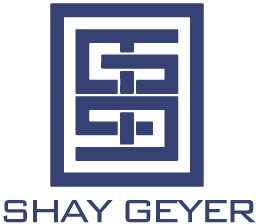 Watch the segment here. 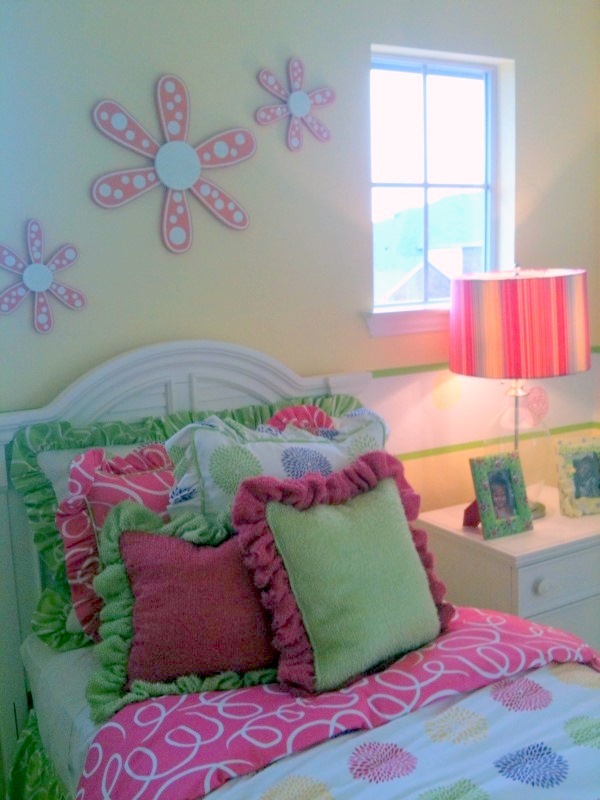 We used a fun array of fabrics in lime, purple, hot pink & yellow. The walls are painted a sunny yellow & we picked up the pattern from the duvet cover & created a border half way up the wall for the room. Wooden orange flowers adorn the wall above the headboard. We used classic white painted furniture that allows the bright bold fabrics & patterns to be the showstoppers for the room. 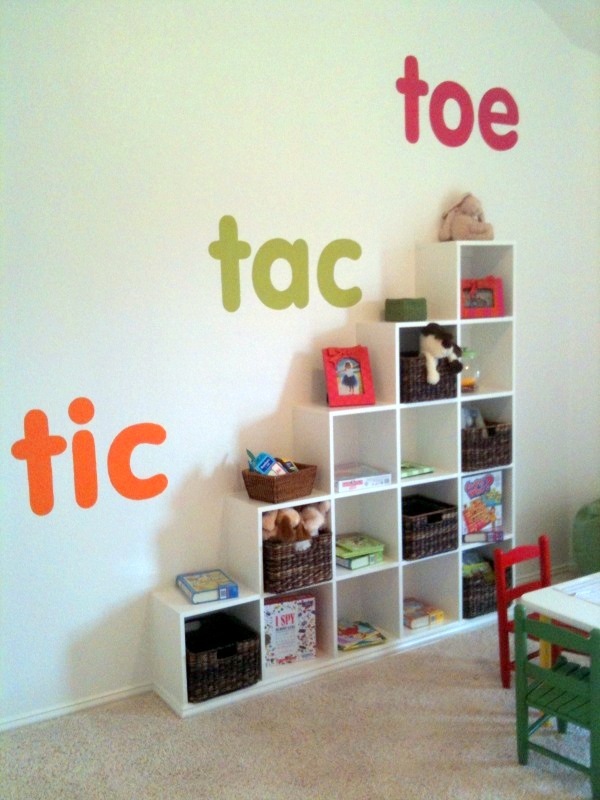 In the adjoining playroom, we jazzed up white walls by hand painting “tic tac toe” in bold colors up the wall. We dressed the windows with fun hot orange leopard print drapery panels. If you’d like to see the room in person, you can venture out to the Horizon Homes model home in Little Elm, Texas.